Here are our Trainer Pack and Toolkit brochure. It contains a library of 27 loose-leaf resources. 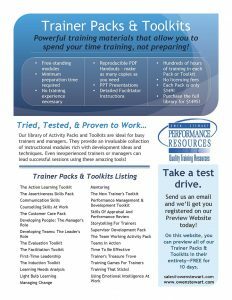 Powerful training materials that allow you to spend your time training, not preparing! Or click HERE to get to our Trainer Pack section, where you can download FREE summaries! Please download this brochure for all the details! 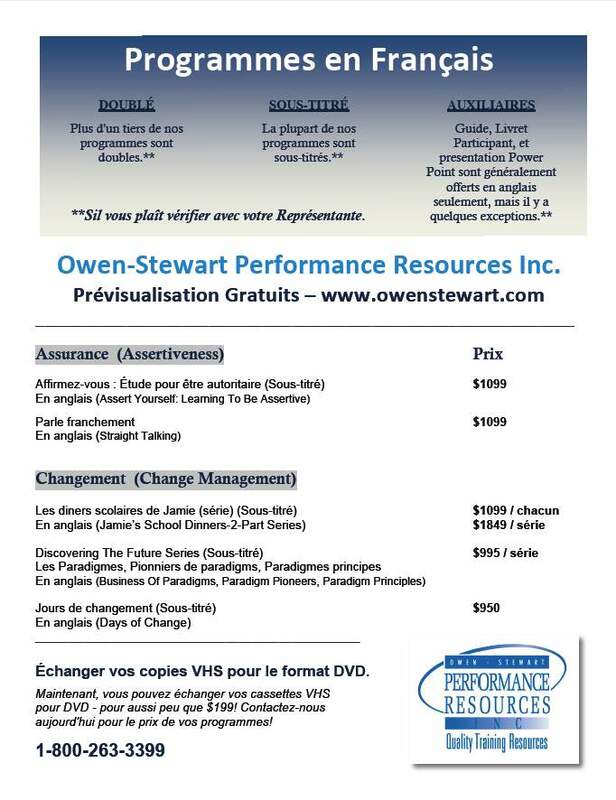 Here is a 12-Page listing of 140+ of our Best-Selling French programs. We’ve added several new programs that are now available in French! For more information, or to preview of any of these titles, please visit the FRENCH PROGRAMS section of this website. Or call us at 1-800-263-3399.